Caregiving is oftentimes a task that people don’t volunteer to do. In the case of many of our friends, colleagues, and users of our apps and devices, caregiving is something that age or disease or accidents choose for people. Sometimes, we know the caregiving role is coming: we can see dementia or Alzheimer’s setting in, and there is time to prepare. In the case of stroke, family members, spouses, and sometimes children become caregivers overnight, and the adjustment period is nonexistent. Whatever the situation may be, one thing is certain: In order to be an effective and dedicated caregiver who exercises patience, one needs to take care of himself/herself first. 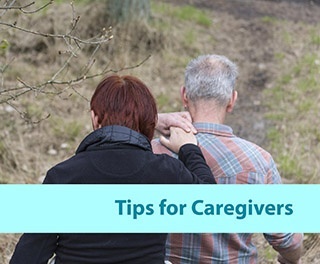 Here are some tips for keeping the you, the caregiver, at your best. If you want to be good to someone else, you first need to be good to yourself. Use relaxation or stress management methods such as meditation, visualization and yoga. Books and videos are available to guide you in these techniques. Set some time aside each day to simply breathe. Getting some sunshine and taking a few deep breaths of fresh air renews the body and spirit — even if you only have time for a brief outing. When possible, open a window. Reading daily prayer books and helpful magazines like Today's Caregiver and Caring Today, or books such as Chicken Soup for the Caregiver's Soul to uplift your spirits. If you're religious, seek the counsel of a spiritual leader you trust and respect. Call up a friend who makes you laugh. Take a stroll down memory lane and share stories of happy times. Be consistent about your health and good habits around eating. Take a daily multivitamin. Drink six to eight glasses of water a day. Your feelings are valid and important. Pay attention to them; seek counseling if needed. Vent feelings of frustration to trusted family members or friends. Exercise improves your mental health as well as your physical being. Move your body daily, even if it's simply 15 minutes of stretching, yoga, calisthenics or walking. Use the stairs to keep your circulation going. These activities keep the brain sharp and improve your mood as well. Don’t be afraid to ask for a favor or relief when you need it. Friends, family, and religious groups may be eager to assist and are only waiting to be asked and directed. Handling all tasks on your own wears you down and deprives others of an opportunity to help out. A constantly tired caregiver is not at his/her best. Sleep is your friend! Try to get a minimum of seven to eight hours of consecutive sleep in a 24-hour period. Take a nap when your loved one naps. Neglecting your own health hurts both you and your loved one. Commit to getting treatments for your own aches and pains before they turn into something more serious. For more information on caregiving, download our free Caregiver eBook.